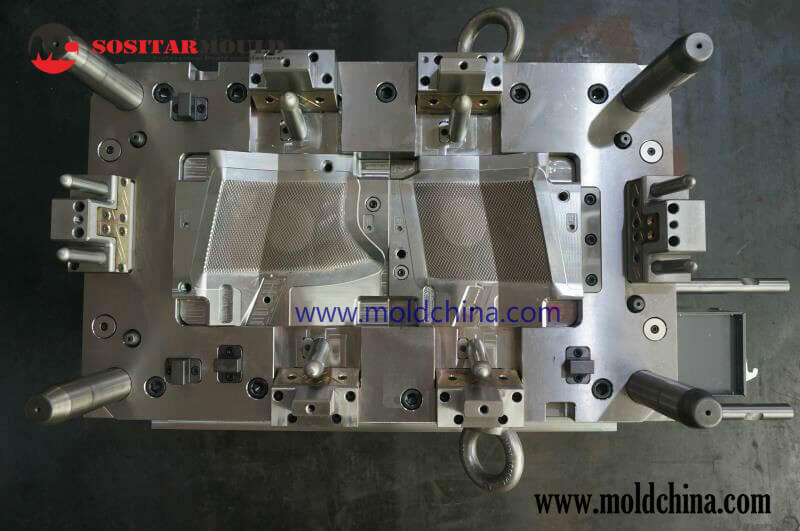 1)We are a professional injection mold company in china, we have been making plastic injection mould since 1998. 10)Packing: Standard wooden case or as per customer’s requirements. How to choose the proper steel for you molds? Choosing the right tool steel for injection mold makingis not always a very easytask. More than that, if you choose the wrong steel, all your hard efforts could be completely ruined, because the improper selection of tool steel will lead to cracks or wear in one or more of the cores or cavities. If a reliable source of high quality steel can be delivered in good time and designed to the right specs, the chances of error or a delayed delivery date will be remarkably reduced.So, what we have to do is to get theparameters of your tool steel right, so that you will be able to save money with semi-finishing work, since they are designed and groundto suit your specific needs. What kind of molding are you going to do? It could be thermosetting, two color molding, thermoplastic, overmolding, blow molding insert moldingor compression molding. More types of molding even include vacuum molding, extrusion, RIM molding and so on. Basically speaking, we recommend you to opt for through hardened or pre-hardened tool steel.All the more so,some low-production molds are even made of aluminum, the high grade QC-7, for instance. If a mold is designed with a service life of over 1 million shots, it will require the hardness to reach around HRC50after heat-treatment, because plastic which is prone to wear could possibly fall short of the tolerance requirements. As a result, we have to select steel that showsnot only better heat treatment performance, but also good cutting performancein a high hardness state. Usually, we choose 8407, S136from Sweden;420, H13from the US; 2316, 2344,083from Europe; or SKD61, DC53 from Japan (the original mold for the metal material and its use under special circumstances). Furthermore,some other elements will have a strong impact on the selection of mold steel, including the raw plastic materials and the added fillers. In particular, glass fiber has a very greatabrasive impact on the surface of the mold cavity. Plastic material selection should also be given consideration to, because some plastic materials arestrongly acidic, while some added modifiers/enhancers or other agents, e.g. glass fiber, result indamage in the mold. Generally speaking, for strongly acidicplastics, S136, 2316 and 420 grade1 steel can be used; and for slightlyacidic plastics,S136, 2316,420, SKD61, NAK80, PAK90 and 718M can be selected. Stronglyacidicplastic materials include PVC, POM and PBT, while slightly acidicplastics includePP, PC, PA andPMMA, etc. Product appearance also imposes requirements on the selection of plastic mold materials, as material selection has a great impact on the appearance of finished products. For transparent pieces orproductsthat require a parabolic-mirror surface finish, we may opt to use such materials as S136, 2316,718 S, NAK80, PAK90 and 420. For the ultra-transparent molds, wemay choose to use S136 and 420. To meet the requirements of the pre-hardened molds,we can choosesteel grades of S136H, 2316H, 718H, 083H, with a hardness of HB270 – 340. Level 4 – 5 molds can make use of P20, 718,738,618,2311 and 2711 steel. Molds that have extremely low requirements may choose S50C and 45# steel, which means creating cavitiesdirectly on the mold.